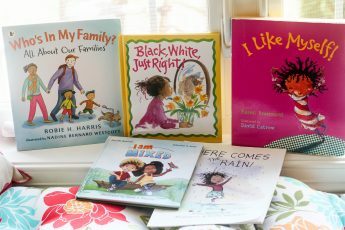 It took the birth of my beautiful biracial babies to motivate me to truly take the time necessary to understand and learn about how to properly care for our curls. For years I relaxed my hair, damaged it with extensions and had total dependence on my list of changing hairstylist to care for it. 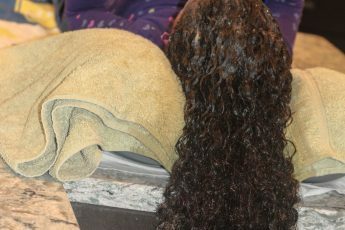 Until I decided, to read and learn how to practice healthy hair regimens on my own. When I saw Giana for the first time I was awestruck by her beauty. She was born with a full head of glorious curls. It didn’t take long for her hair to become a constant subject of conversation in our lives. When Misha was born, she also had lots of hair but it looked different. It was a finer texture, less dense and it was straighter for the first year. The hair on the sides and back of Misha’s hair fell out as an infant, unlike Giana who never experienced hair loss. 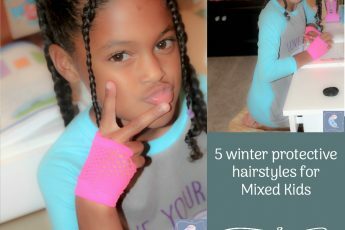 The fear of damaging my daughter’s hair motivated me to find out the best practices and techniques to care for naturally curly hair. The more time I spent, the more I became intrigued. Eventually, I became empowered to start my own natural hair journey. 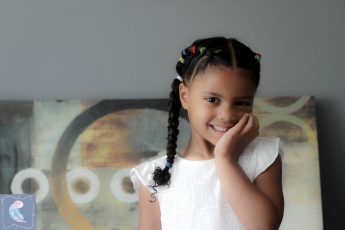 Follow us for natural hairstyle ideas for biracial/multiracial and mixed kids. 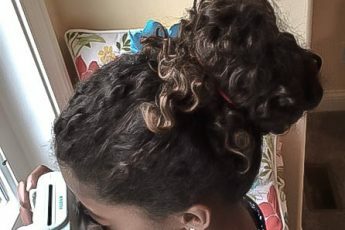 Plus my own hair tips for 4a fine coils. 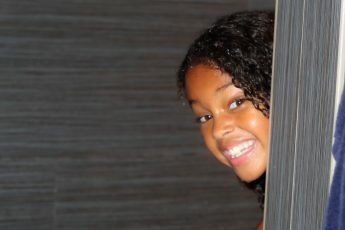 4 natural hair techniques to add to wash day!